After twelve successful years as a player at Tannadice, Dave had short spells with Raith Rovers and Yee Hope in Hong Kong before signing for Forfar Athletic in 2000. As Forfar were a part-time club, he was able to combine his playing career with his first coaching role back at United. After retiring from playing in 2002, he developed further as a coach at Tannadice until he left following Craig Brewster's appointment as manager in 2006. 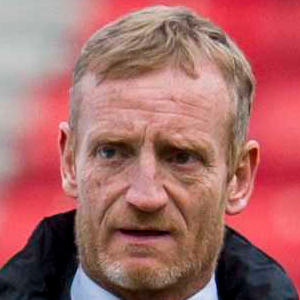 After further coaching roles at Livingston and Dundee, he returned to Tannadice for a third time in 2007 as a Community Coach. By 2015 Dave was performing the role of Development Squad Assistant Manager, and took temporary charge of the first team - along with Club Captain Sean Dillon - in the wake of Jackie McNamara’s departure from the club in October 2015.